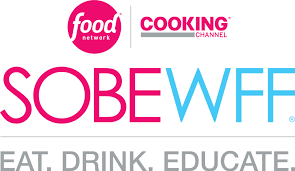 The 17th annual Food Network & Cooking Channel South Beach Wine & Food Festival (SOBEWFF®) returns to EAT. DRINK. EDUCATE. February 21 – 25, 2018. One of America’s most prestigious gourmet gatherings, the Festival has raised more than $26 million to date for the Chaplin School of Hospitality & Tourism Management at Florida International University (FIU). This year’s edition will feature more than 90 events, including signature fan-favorite soirées, an array of new parties and intimate dining experiences, expanded CRAVE Greater Fort Lauderdale Series, and much more. Illy Coffee will once again be on-hand to give festival goers a much needed delicious caffeine fix throughout the weekend. Signature Wine Seminars presented by Bank of America, a BBQ Dinner hosted by Chris Lilly and Conrad Fort Lauderdale Beach Chef Jorge Ramosand Clambake hosted by Emeril Lagasse and Jorge Ramos; all taking place at the brand-new Conrad Fort Lauderdale Beach. The introduction of the Festival’s fan-favorite Lucky Chopsticks hosted by Andrew Zimmern and a Rooftop Rosé Happy Hour hosted by television star, jewelry and shoe designer, True Roots cookbook author and all-around lifestyle guru Kristin Cavallari – who is also a new part-time fixture on the South Florida scene thanks to the addition of husband Jay Cutler to the city’s beloved Miami Dolphins – at the W Fort Lauderdale. Plus, a selection of intimate dinner experiences with renowned chefs and a Grand Bloody Mary Brunch hosted by Geoffrey Zakarian to top-off the series. A variety of late-night parties accent the line-up, including returning fan-favorites like Tacos After Dark hosted by Rick Bayless and King’s Hawaiian presents the Taste of Aloha and Art of Tiki Cocktail Showdown hosted by Anne Burrell, and new experiences like Midnight Munchies hosted by Jean-Georges Vongerichten on the Art Deco oasis Española Way featuring special guest DJ Action Bronson round out the midnight owl offerings. EAT. DRINK. EDUCATE. For tickets visit sobewff.org or by calling 877.762.3933 (phone sales open Monday – Friday, 9:00 AM – 5:00 PM EST). Don’t Miss: The Night at the Museum 2019 at The Bass!